this is the epitome of simple. 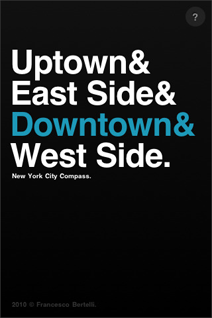 tells you in simple text and color terms which direction your headed in the big apple to get uptown, downtown, to the east side or west side. nice one again franceso.